Draw and paint Storm from X-men. Learn how to draw and paint Storm from Marvel X-men. In this tutorial, we will focus mostly on her face (portrait) from sketch to shading and painting. I usually start drawing simple lines and shape first, then slowly add on more detail. Most important thing in the beginning of the drawing is to get the proportion correct. Once that is accomplished, you will have a lot easier time going onto the next step of drawing portrait. Storm or Ororo Iqadi T’Challa is one of the main characters of the X-men. Ororo Monroe is the descendant of an ancient line of African priestesses, all of whom have white hair, blue eyes, and the potential to wield magic. Her mother, N’dare, was an African princess who married American photojournalist David Monroe and moved with him to Manhattan, where Ororo was born. Storm is a mutant who possesses the psionic ability to manipulate weather patterns over limited areas. She can stimulate the creation of any form of precipitation such as rain or fog, generate winds in varying degrees of intensity up to and including hurricane force, raise or lower the humidity and temperature in her immediate vicinity, induce lightning and other electrical atmospheric phenomena, and disperse natural storms so as to create clear change. Here is a final image of Storm’s portrait. 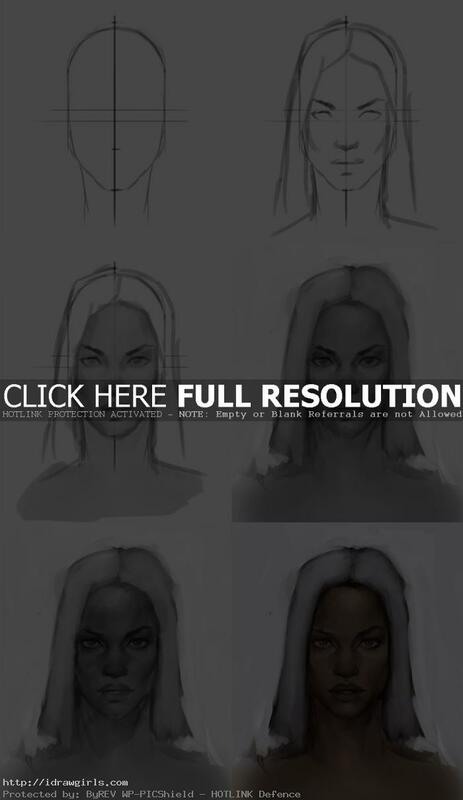 Below are step by step images of how to draw Storm’s face. 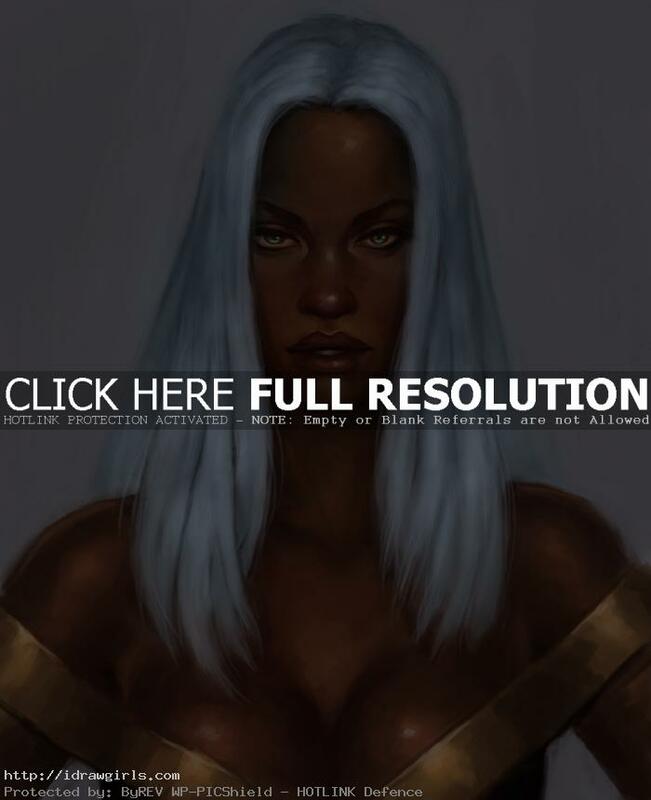 Below are step by step images of how to paint Storm.